The Planning Center was thrilled to support Sky Islands Public Charter High School with pro bono planning services to craft a Campus Master Plan that emphasizes hands-on experiential learning and community collaboration. 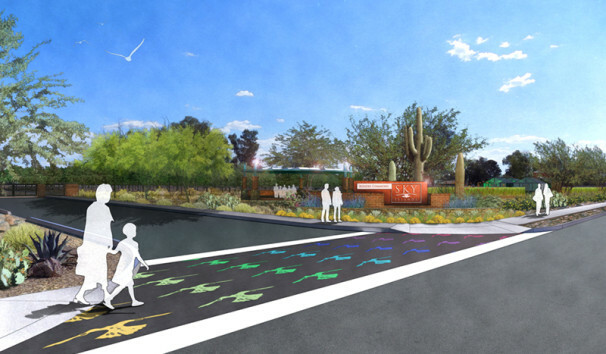 In 2013, Tucson Unified School District allowed Sky Islands to lease Rogers Elementary School (on the corner of E 14th Street and Del Valle Avenue), which had been closed and vacated since 2010. 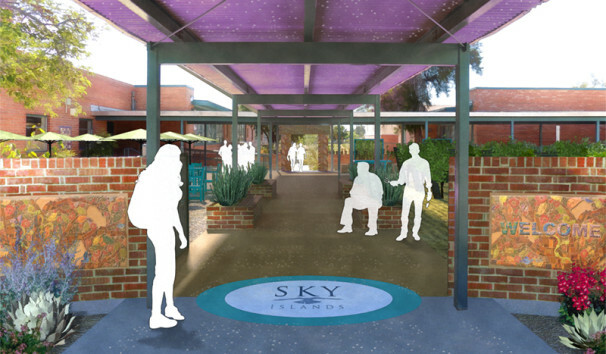 Sky Islands valued the campus’ robust brick buildings with large windows and central courtyard. 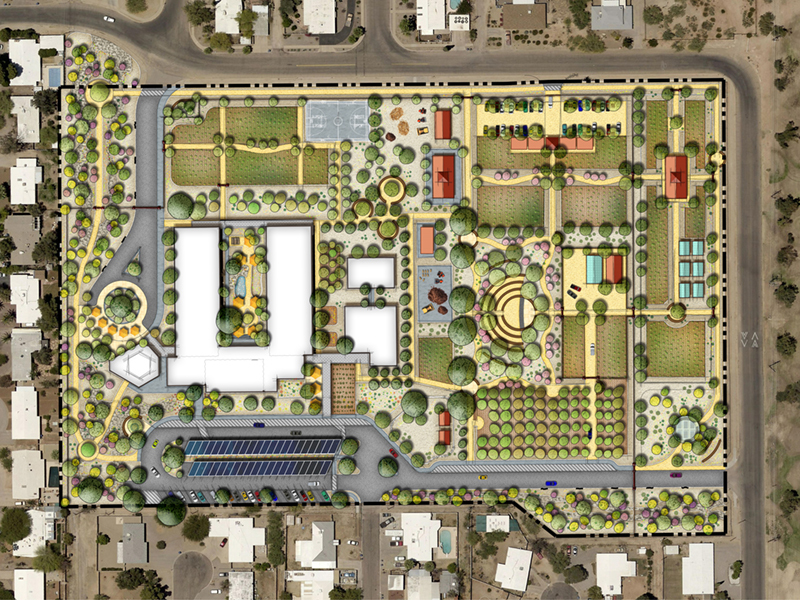 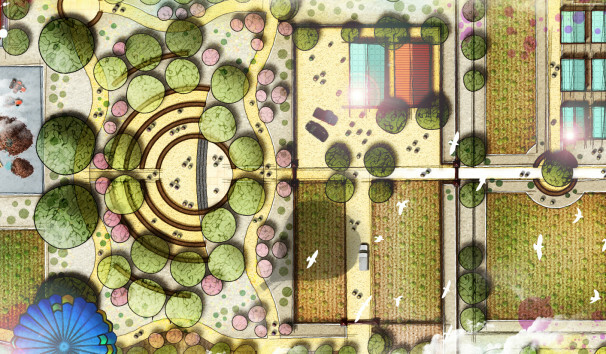 They envisioned a reactivated campus filled with gardens, outdoor classrooms, interpretive trails, revitalized landscapes, farmers markets, community supported agriculture, and civic spaces. 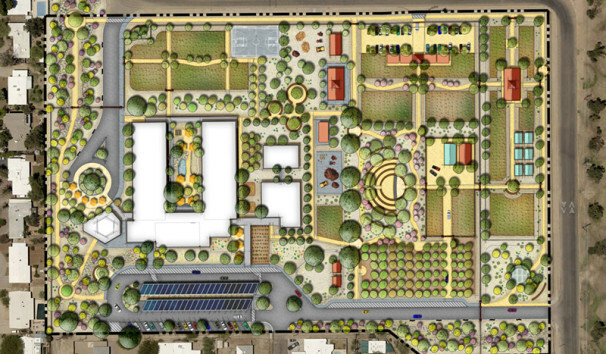 In an effort to strengthen its alliance with surrounding neighborhood, the campus was renamed Rogers Commons. 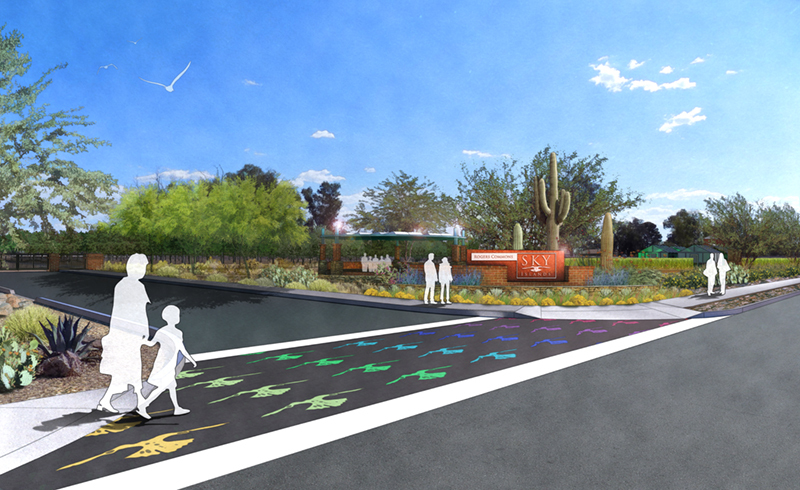 The Planning Center provided visioning, site design, visualization, and master planning services to craft a plan that will enable the school express a coherent and shared planning concept with the broader community.